You will never reach your goals if you don’t know what your limiting beliefs are. Here is how to identify and remove them. Even if you have the perfect goal setting system and you are very disciplined, you will definitely have a hard time reaching your goals. And the reason is that you, like all of us, have self-limiting beliefs that keep you from living the life you desire. Until you have sorted out all the beliefs that stop you from reaching your goals, it will really be very hard if not impossible to reach your goals. I must admit that for a long time this sounded a little bit weird to me. 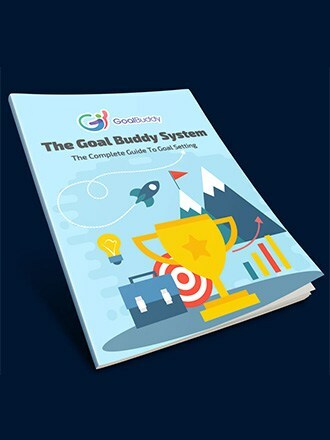 But it turned out to be hugely important and was a big missing piece from the goal buddy goal setting system. 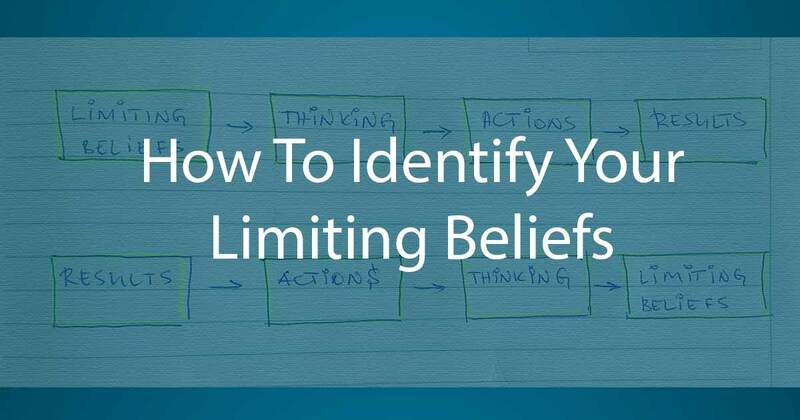 Today, I am going to share my findings and some tips how to identify and remove your limiting beliefs. The good news is that it’s relatively easy to remove your limiting beliefs once you learn how to do it. What are limiting beliefs and why are they preventing me from reaching my goals? We all have limiting beliefs, but most of us are not aware of them. That’s by definition because they work on a subconscious level, i.e. we are not conscious of them. Limiting beliefs work on a subconscious level. These beliefs are there to protect us by keeping us in our comfort zone. They want to keep us in the “safe zone” and avoid risks. But as all growth happens at the edge or over the edge of the comfort zone, this prevents a lot of people from growing. When you set a goal, you have the best intention to reach your goal. But you may have noticed the after the first several days of euphoria about your new goal, things start to get tougher. You have not yet developed the habits to support this goal and your limiting beliefs have kicked in. So you need a lot of energy and willpower to go trough this rough period. Imagine a goal to create a habit to exercise three times weekly. After your first or second visit to the gym, your daily life takes over and you may even forget you had this goal. But even if you have the discipline to pass through this period, it doesn’t disappear. The hits from our limiting beliefs come in cycles. They hit us all the time until we get rid of them. Even if we have created a powerful habit, our beliefs will prevent us from success. “I told you so!” is the favorite phrase of your “limiting beliefs”. Reaching your goals means you will have to overcome obstacles. “I told you so! This would never work. What a fool you are to think in the first place you could accomplish this. You better stop humiliating yourself and cancel this goal”. Needless to say, this can ruin your confidence. And confidence is essential for taking on tough challenges and achieving your goals. It’s as simple as that: “No confidence, No goals completes”. So le’ts see some examples to give you an idea about some common beliefs. Do you have a financial goal? This is one of the important areas where you should consider about setting a goal. Even if you set a super smart goal for becoming financially free, you will have a hard time if you have limiting beliefs about money. If you are interested in digging deep into the psychology of money, I can recommend you a book called Secrets of the Millionaire Mind by Harv Eker. 5. I can never have a good body unless I restricting severely the things I like in my life. By the way, these 5 were my personal limiting beliefs about weight loss. I have started several businesses and what I noticed is the almost everybody is talking about “starting a business” at some stage of their lives. Most of them never start one and that’s OK with me, but they go trough tough periods and torture themselves with wanting something and then justifying why it’s still not happening. I am too old to start a business. Your beliefs determine your thinking. And based on your thinking, you take daily actions. And surprise, your actions determine your results. And surprise, surprise… your actions determine your results. It’s really hard to find what your beliefs are by thinking about them because your analytical brain can mislead you. But you can reverse engineer the above process and look at your results. If you look at your results, you will identify what actions you took or did not take. You can’t really remove limiting beliefs without a lot of unnecessary struggle. But you can more easily replace them with core beliefs that will support your goals and the results you want to have in your life. The first step and the most important thing is to become aware of them. Because “awareness in itself is curative” (Sorry, I can’t remember who said that). The next step is to take some time and a sheet of paper. Just take one goal and list at least 5-7 things that oppose to that goal. The final step is to replace these limiting beliefs with supporting ones. You can write them down in a journal and reread every day or write them on index cards. Some people would call the affirmations, but if you repeat them often enough, they will replace the ones that prevent you from success. This is something we all have to constantly work on. It’s not like you read an article and you are done with that for the rest of your life just like you can’t go to the gym once and check this off as permanently completed. Observe yourself and become aware of your limiting beliefs, that prevent you from living the life you deserve. Just by becoming aware of them, you will see that you will start to make much more progress on your goals. I have researched and experimented with goal setting and the psychology behind it for the past 15 years and I started to share my experience freely on this blog with my goal buddy. But this blog is brand new and few people know about it. If you like this article, please share it with your friends. Your thoughts are encouraging and enlightening. I will share it with friends. An example of the reverse engineer process would have been helpful. The information was clear and easy to understand. I have been researching the subject for sometime and red a lot of information about it. This is the best!!! Very good man, Thanks so much!! Yet another great article from the goal guys. We have to install a new operating system for our minds to program ourselves for success (goal achievement). Now I’m interested in the fastest and best ways to achieve this. I’m thinking positive affirmations, vision boards, mastermind groups + daily action towards our goals.